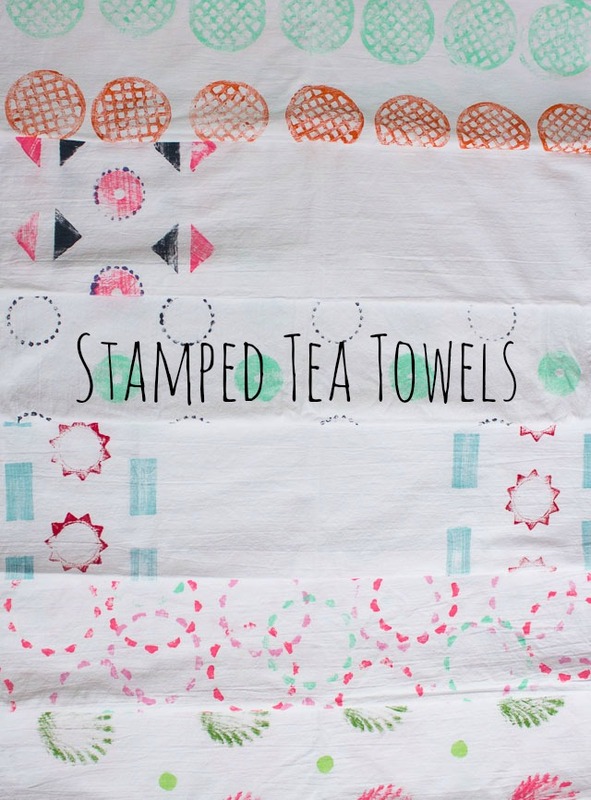 Today I’m sharing the tutorial for the stamped tea towels we made during the Anthropologie Mother’s Day Event so you can try them out at home! Make sure to cover your work surface with a drop cloth or other protective material in case any paint seeps through the tea towel to the surface underneath. 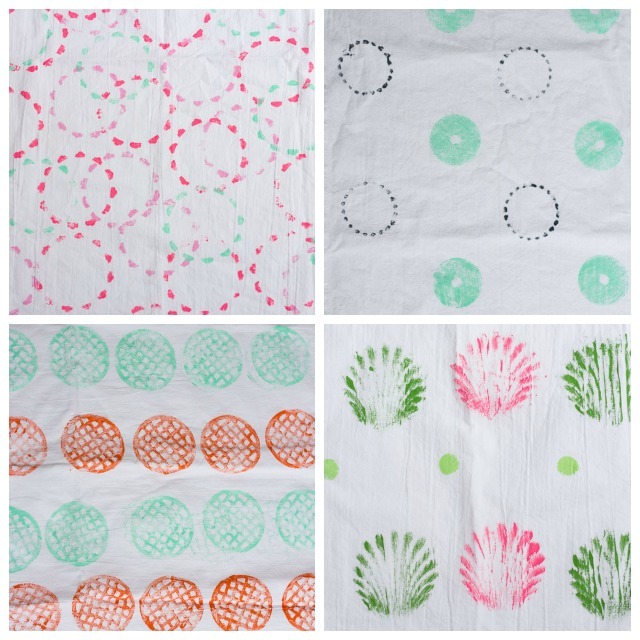 For each of the towels I made, I used 1-3 different stamps and a different paint color for each stamp. 1. 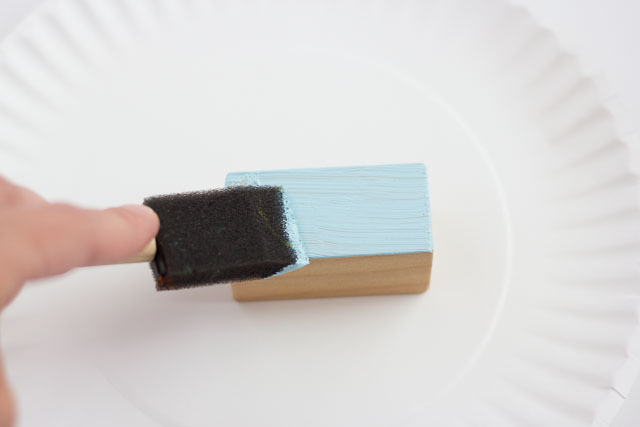 Start by using your foam brush to spread an even layer of paint onto your stamp. 2. 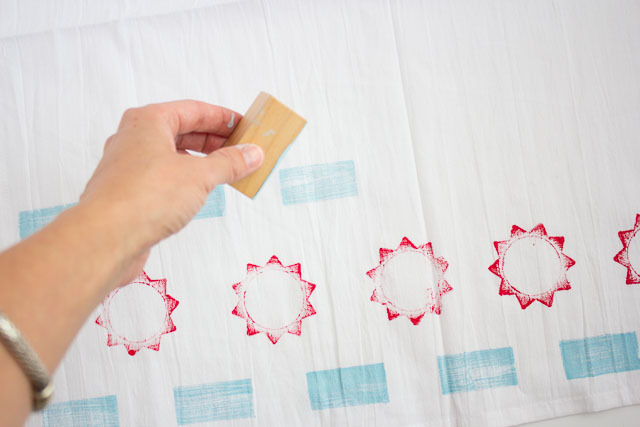 You may want to test out your stamp on a paper plate to make sure you like how it looks before using it on your tea towel. 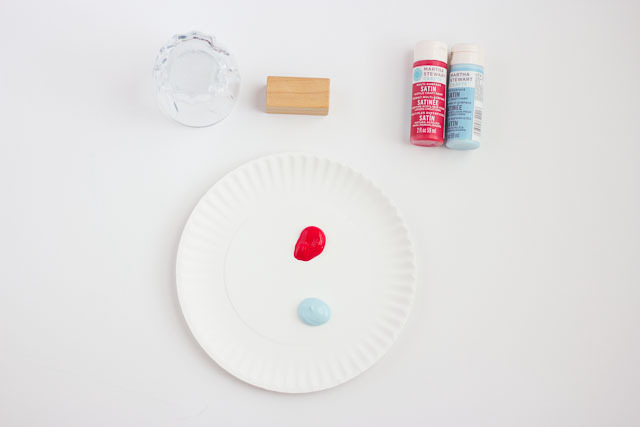 Smooth out any globs of paint on your stamp – you want a thin, even layer of paint. 3. 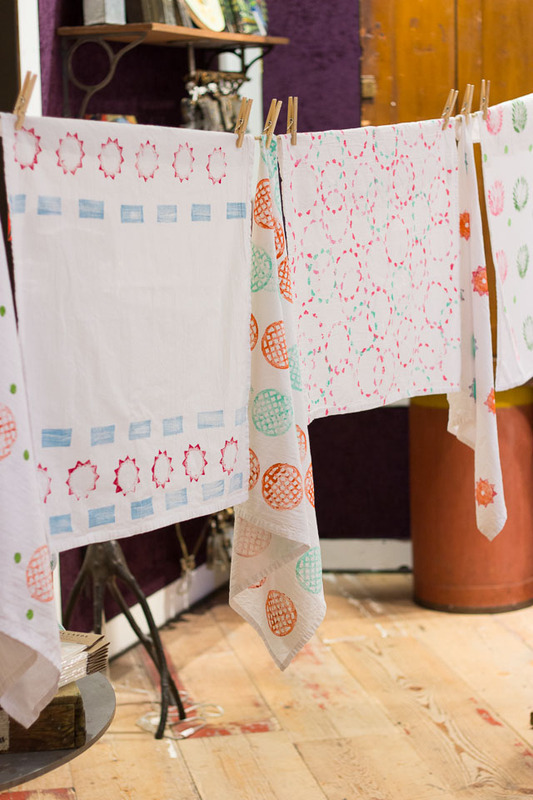 Start stamping your tea towel! 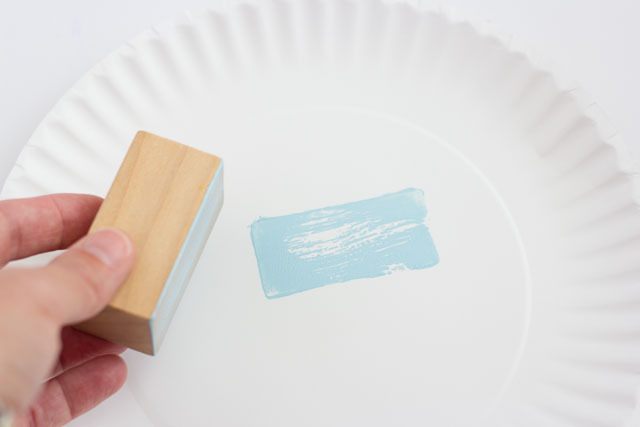 Add a new layer of paint to your stamp each time before stamping again. Use a wet paper towel to clean any paint off your hands if needed as you go along. Don’t worry if your stamps aren’t perfect or in a super straight row – a little imperfection is what makes these towels so sweet! 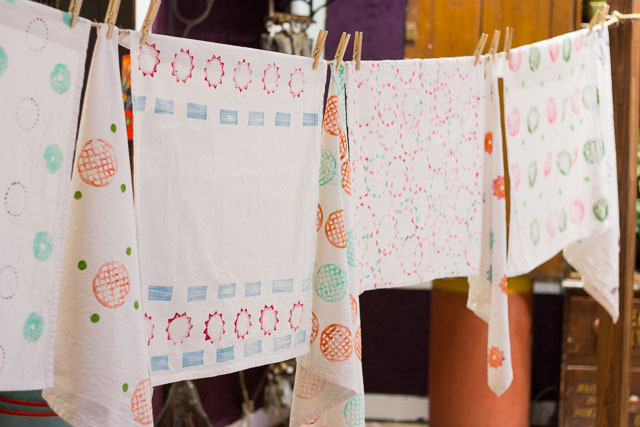 Let the paint dry at least 24 hours before washing and drying towels. I washed mine on warm and they turned out great. This is a really fun craft to make with friends because each person’s towel turns out so unique. 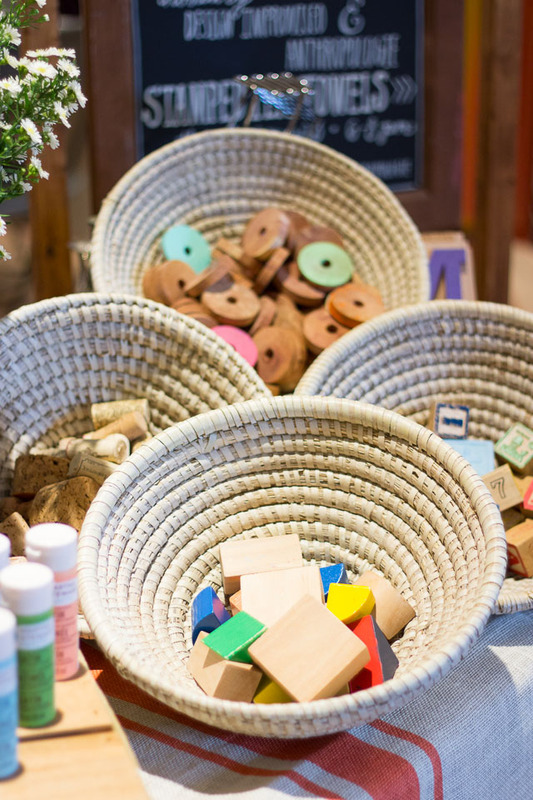 They make great gifts too – I ended up sending each of these out for Mother’s Day presents!